It was a wonderful experience. As a frequent Booking user, I have to say that this place is far above the average you can expect. 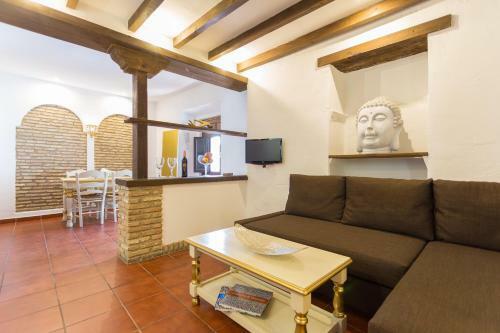 Very nice and helpful staff, nice location and near all major locations in Granada. I can strongly recommend Carmen Terrazas de la Alhambra. The location was perfect for everything we wanted to visit! The parking also was excellent. Location: neighborhood and proximity to Alhambra. Old architecture flavor. Pablo was very kind, gave us all the indications to make our experience smooth. Good Location and free parking. Staff is friendly, but most of the time they are not there. What a fabulous find! 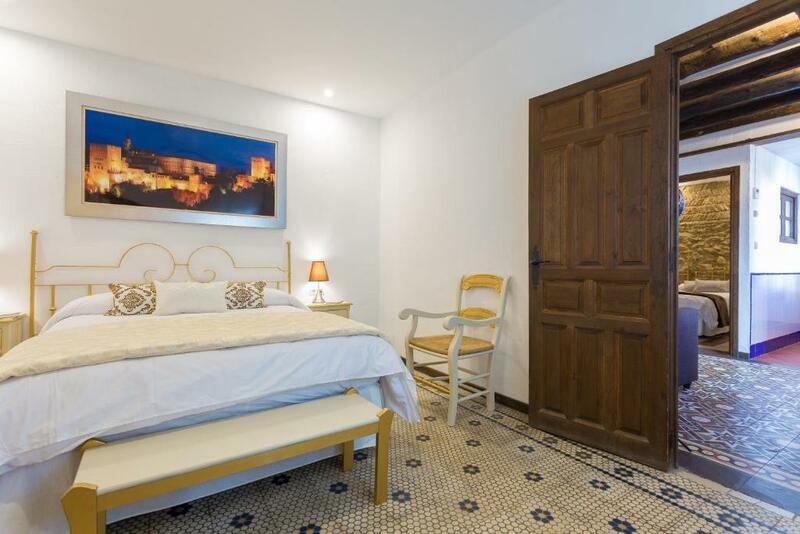 I loved this beautiful property in the heart of the old quarter. My room was a huge suite with 2 bedrooms, 1.5 baths and a kitchen! Just a few steps outside the door I could grab the C-1 bus that ran up into Albacin or down to the city center. So easy! Loved the ambiance and the location at this romantic spot. 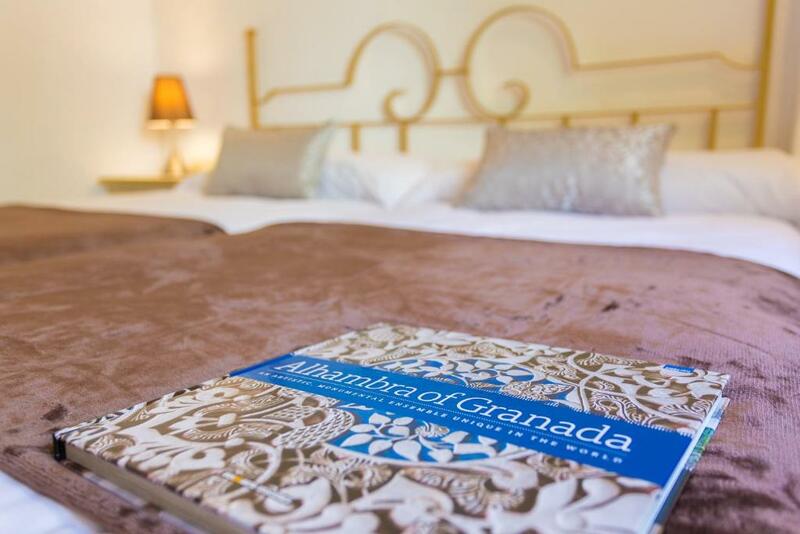 Lock in a great price for Carmen Terrazas de la Alhambra – rated 8 by recent guests! 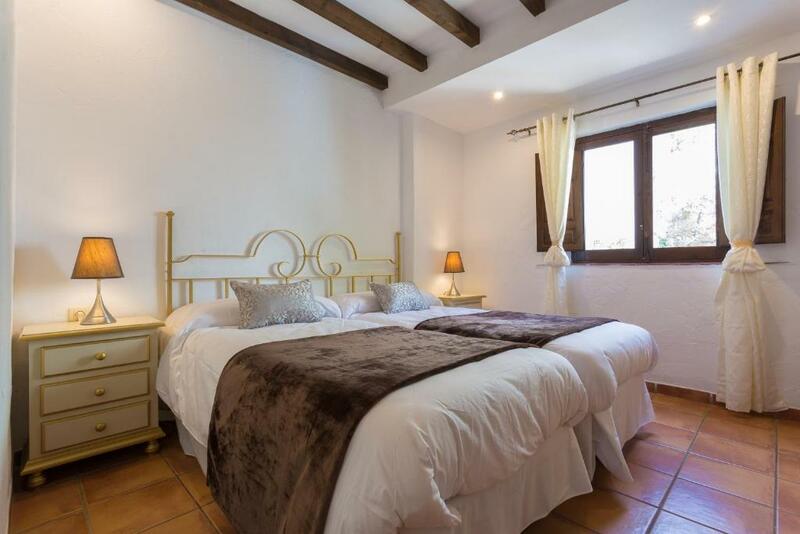 One of our top picks in Granada.Providing a seasonal outdoor swimming pool and a garden, as well as a terrace, Carmen Terrazas de la Alhambra is located in Granada, not far from Paseo de los Tristes. Complimentary WiFi is featured. Accommodations are fitted with air conditioning and features a flat-screen TV, a fully equipped kitchen with a dining area, and a private bathroom with free toiletries. A microwave is also provided, as well as a coffee machine and an electric tea pot. Granada Cathedral is 1.2 miles from the apartment, while San Juan de Dios Museum is 1.3 miles away. The nearest airport is Federico Garcia Lorca Granada-Jaen Airport, 14 miles from Carmen Terrazas de la Alhambra. 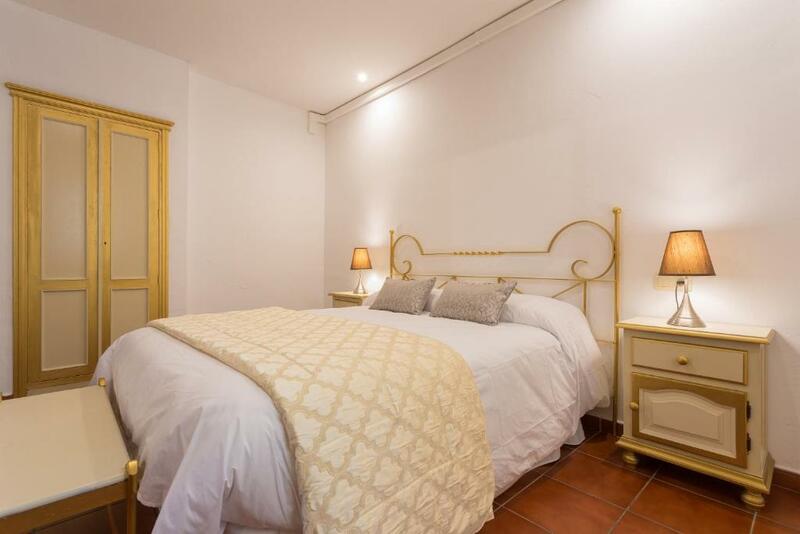 뀐 Located in the top-rated area in Granada, this property has an excellent location score of 8.8! 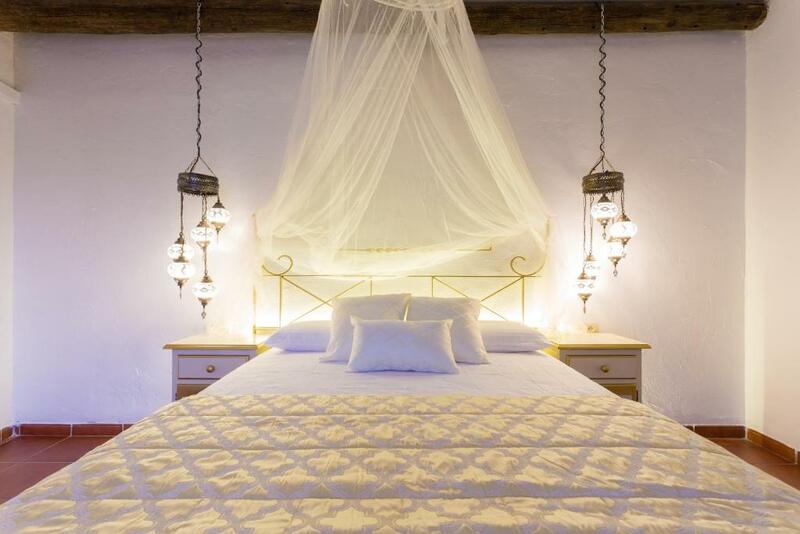 When would you like to stay at Carmen Terrazas de la Alhambra? Alojamiento enclavado en el Barrio del Albaicín, declarado por la UNESCO en 1994, como Patrimonio Mundial de la Humanidad. Los apartamentos forman parte de una construcción tipica granadina denominada "Carmen" que guardan y conservan elementos de la arquitectura tradicional. Se denomina "Carmen" a la casa tipica con huerto y jardin. Los Jardines del Carmen terrazas de la Alhambra tienen vistas a la Alhambra. 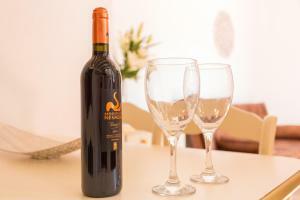 Los apartamentos cuentan con estilo propio y cuidado, para hacer de su estancia una experiencia unica. Declarado por la UNESCO Patrimonio Mundial de la Humanidad en 1994, pues sus callejuelas y casas típicas poseen una belleza y encanto sin igual y conservan desde hace más de mil años su carácter popular, íntimo y acogedor. La mejor forma de conocerlo es perderse por sus rincones. En el Albaicín (también escrito Albayzin o Albaycín) respirarás la esencia de un barrio que evoca tanto a la arquitectura árabe como a la de otras antiguas ciudades mediterráneas. Gran parte de su encanto reside en los muchos cármenes que pueblan el barrio (casas típicas con huerto y jardín), así como en las cuestas que conducen a sus impresionantes miradores, de entre los que destaca el mirador de San Nicolás. Si a todo esto le unimos la vida cultural de barrio, donde se puede disfrutar de especatulos flamenncos, etc. House Rules Carmen Terrazas de la Alhambra takes special requests – add in the next step! Carmen Terrazas de la Alhambra accepts these cards and reserves the right to temporarily hold an amount prior to arrival. Please note that free parking is provided for guests who check in between 17:00 and 20:00. 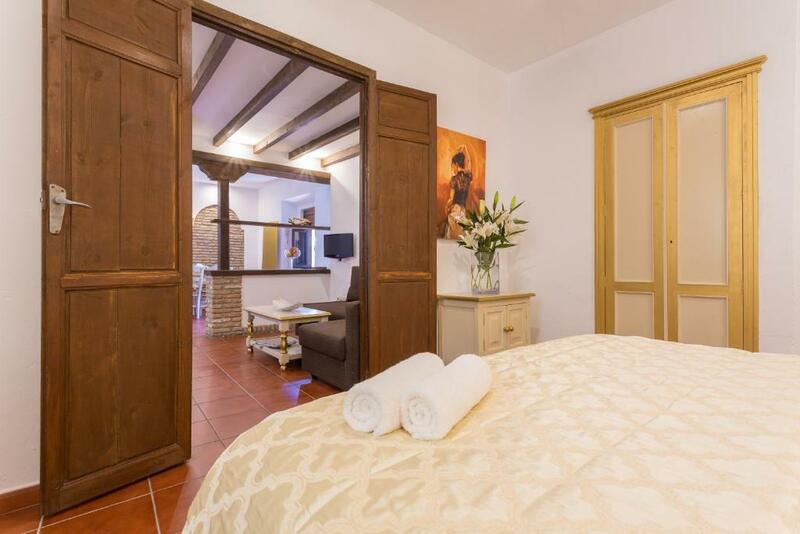 A damage deposit of EUR 300 is required on arrival. That's about 337.31USD. This will be collected by credit card. You should be reimbursed on check-out. Please inform Carmen Terrazas de la Alhambra of your expected arrival time in advance. You can use the Special Requests box when booking, or contact the property directly using the contact details in your confirmation. Parking was very convenient, good apartment size with two rooms and perfect location close to the Alhambra. In April, it was a bit chilling, but a staff brought a heater for us that made us feel warm. Thanks!! In the old town of Granada access by car is limited, so DON'T bring a car if you are staying here. Be aware that most streets require a permit, so you cannot follow your gps but would need to know the way around them which is not explained ahead of time. We had problem with lock of Granado apartment and we couldn't find any staff to help us. Bathroom very old and rusty. No WIFI. Nobody at the reception, even in the working hours. Staff speak only Spanish. Very dark room. We didn't like that there was no window in the bedroom, the living room was without sunlight too. It was very dark and dirty. The walls were moisture and mould. The location of the property was fine. Room was very dark. The communication with the staff was very hard as they spoke only Spanish (only 1 of them spoke English but he was never there). The door of the app was broken, could not be locked from inside. Great location! Very interesting architecture and interior of the building and the appartment. Free parking. Towels were wet when we check in. Very difficult to get into the property. Really narrow streets. Free parking, close to the historical centre! Very cozy and clean place to go, with a friendly staff and safe parking lot! Wi-Fi signal is weak. Bathroom is small.